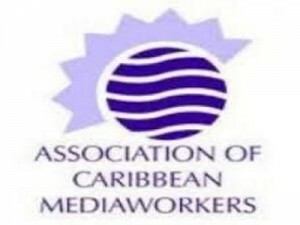 PORT OF SPAIN, Trinidad, Aug 5, CMC – The regional-umbrella media group, the Association of Caribbean Media Workers (ACM)l Friday said it has noted with concern continuing efforts by some Caribbean countries to address legitimate issues associated with harmful online content through legislation. The ACM said that such moves in its view “tramples on important principles associated with freedom of expression and freedom of the press”. It noted that some of its international partners, including the International Press Institute (IPI), Reporters Without Borders (RSF) and the Centre for Law and Democracy (CLD), have recently addressed in fair detail offending sections of the Cybercrime Bill of St Vincent and the Grenadines. “We endorse their positions on such matters. These issues have also attracted the attention of other institutions with specialisation in this area and we have undertaken to keep them informed. Last week, RSF wrote Prime Minister Gonsalves calling for the revision of several clauses of the bill, which it said “are extremely damaging to the free flow of news and information and to public debate”. On Tuesday, CLD joined IPI urged Kingstown to review the “whole of the Cybercrime Bill” so as to bring it in line with international guarantees of freedom of expression. But in his response, Prime Minister Dr. Ralph Gonsalves said that “substantial amendments” to the Bill have already been made at the Select Committee and its report to Parliament will reflect these amendments. IPI said it is urging the bill’s drafters to, at a minimum, insert a clause providing a clear exception for information disseminated as part of journalistic, political or artistic activity, or through the exercise of any other protected right or interest, including freedom of expression and opinion. In its statement, the ACM said that it is of the view that the criminalising of expression brings with it “clear and present dangers to an environment in which the value of free expression is respected and observed. “This is a point that has been embraced by governments in Antigua and Barbuda, Grenada, Jamaica and Trinidad and Tobago where our campaigns against criminal defamation have led to a better understanding of the inherent dangers of invoking criminal law under such circumstances. ACM said that also of particular concern are what appear to be sweeping measures to address the issue of cyberbullying and ominous reference in Section 7 of the Bill to the requirement of “lawful excuse or justification” in acquiring “computer data” not meant for the person accessing such content. It said a similar measure proposed Trinidad and Tobago legislation was eventually acknowledged to be potentially harmful to the practice of journalism and is being re-considered by the current administration. “There has obviously been much concern about the new challenges offered by online communication in the Caribbean and, indeed, much undue haste in addressing them. In some instances (defamation for example) offences are already covered under existing legislation and the opportunity now appears to be offered to impose greater stringency to its application. The regional media group said that it was also making reference the “Declaration of Port of Spain” approved by the General Assembly of the International Press Institute in Trinidad and Tobago on June 26, 2012 which calls on governments of the region “as a matter of urgency to abolish ‘insult laws’ and criminal defamation legislation and common law criminal defamation rules, as well as review civil defamation laws and all other laws that restrict media freedom. “We urge that the government of St Vincent and the Grenadines seriously reconsider its position on this particular matter while also paying critical attention to other areas of grave concern as mentioned,” the ACM added.